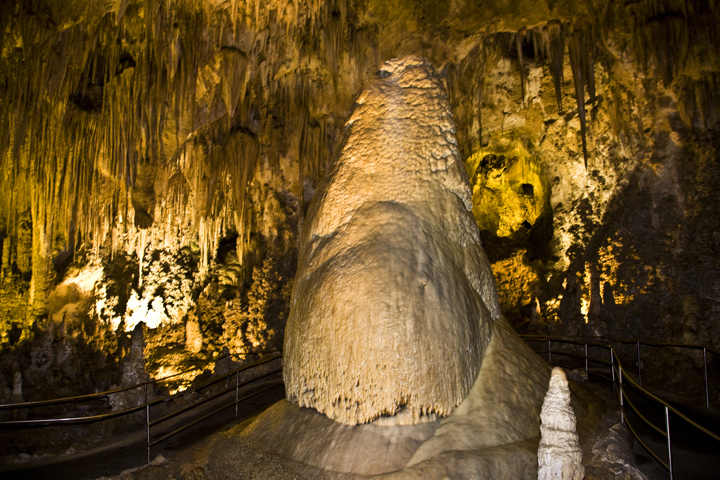 Established to preserve Carlsbad Cavern and numerous other caves within a Permian-age fossil reef, the park contains more than 100 known caves, including Lechuguilla Cave?the nation's deepest limestone cave at 1,567 feet (478m) and fourth longest. 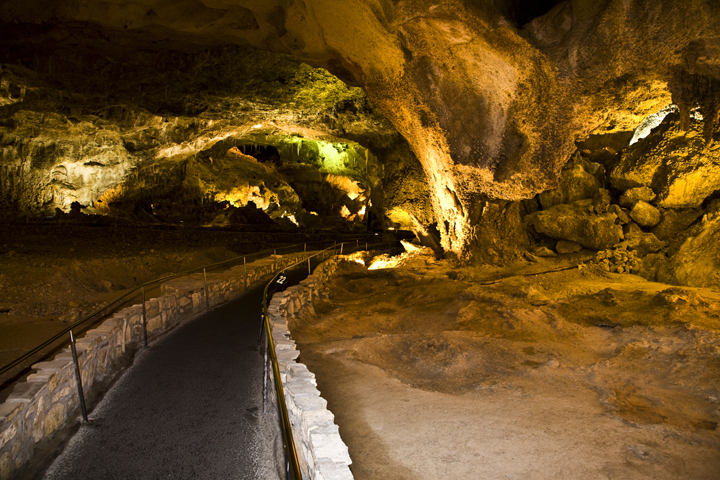 Caves : Carlsbad Caverns National Park contains more than 100 limestone caves that are outstanding in the profusion, diversity and beauty of their formations. 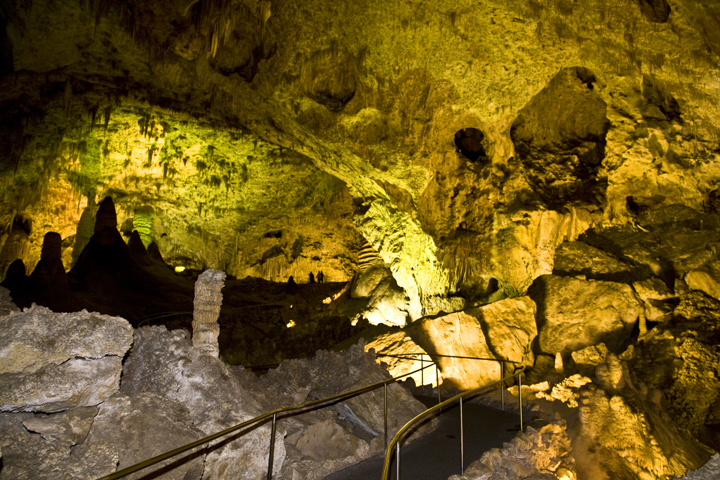 Caves are fragile environments that are affected by human activities and natural processes both underground and on the surface. 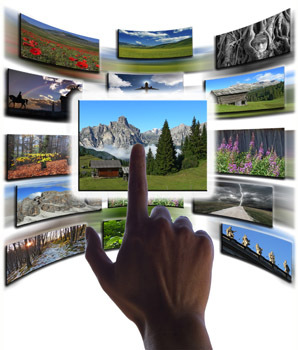 Although caves are a delicate non-renewable resource, they are a continual source of exploration and discovery. 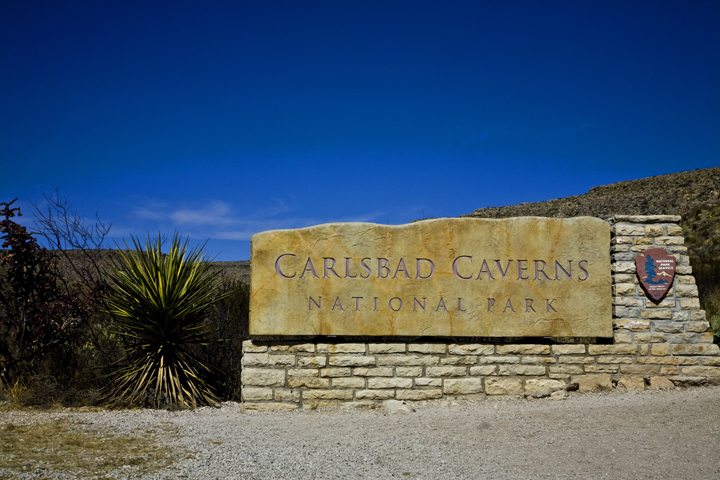 Bats : Carlsbad Cavern is the summer home for a world-famous colony of migratory Mexican free-tailed bats. The survival of the park's bat populations, which in some cases cross international borders, depends on our better understanding of their value, fragility, and place in the ecosystem. 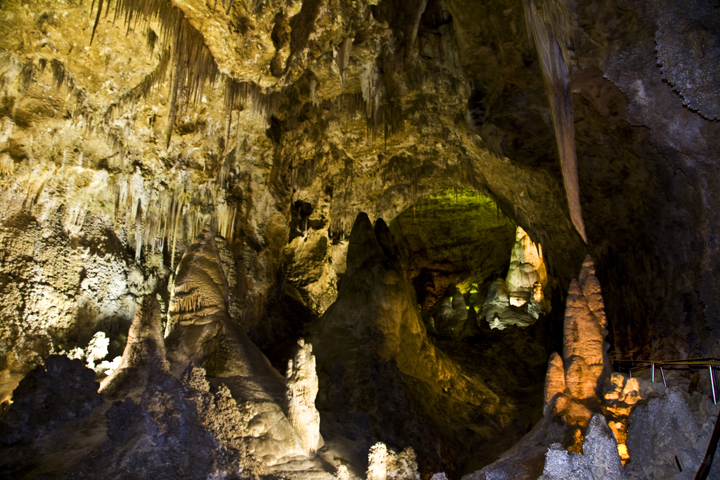 Lechuguilla Cave : Lechuguilla Cave is the deepest limestone cave in the United States, containing formations and microbes found nowhere else in the world. 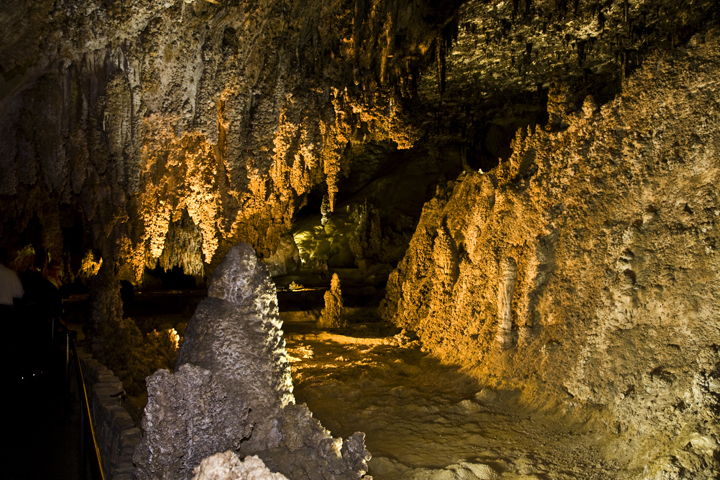 The recent exploration and scientific discoveries in Lechuguilla Cave, and other caves in the park, hold immense potential for scientific research. Wilderness : The park contains 33,125 acres of rugged wilderness backcountry terrain with jagged limestone outcrops, sharp pointy plants, and no water. 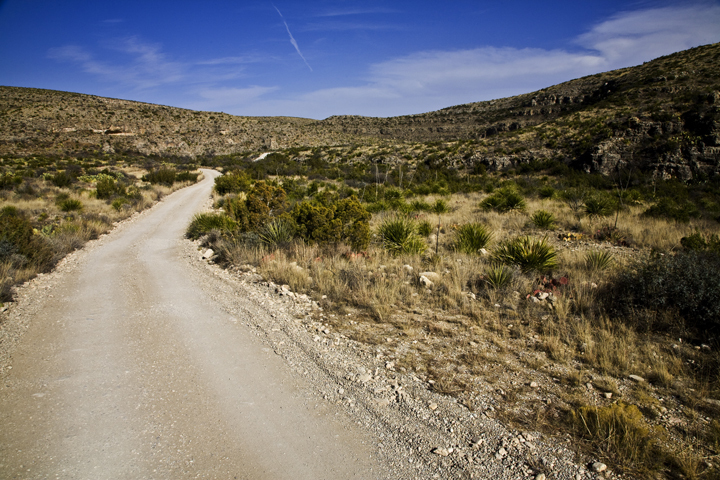 The challenging desert wilderness of Carlsbad Caverns National Park offers outstanding opportunities for solitude and primitive recreation. 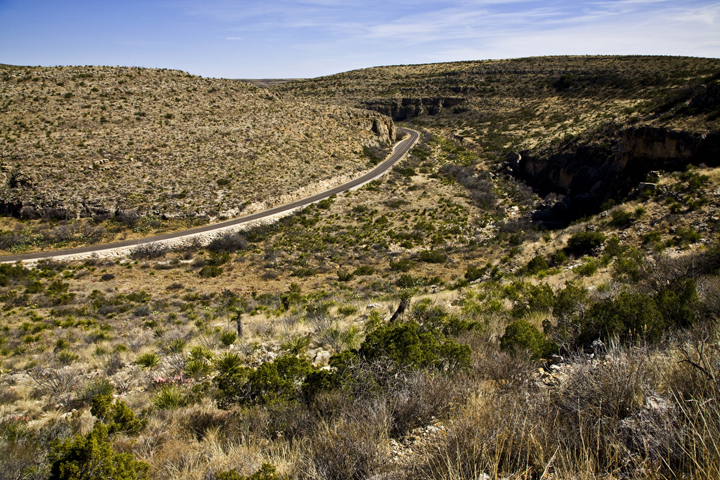 Chihuahuan Desert : Carlsbad Caverns National Park contains one of the few protected portions of the northern Chihuahuan Desert ecosystem. 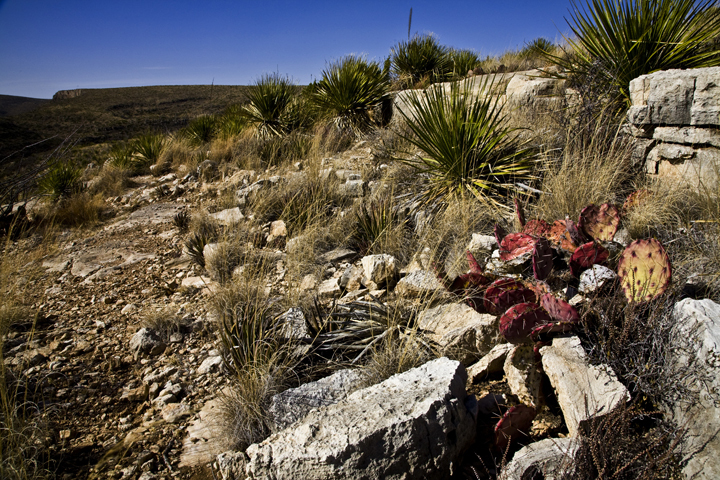 The Chihuahuan Desert reveals, upon close examination, complex natural processes that yield an astounding abundance and diversity of plant and animal life. 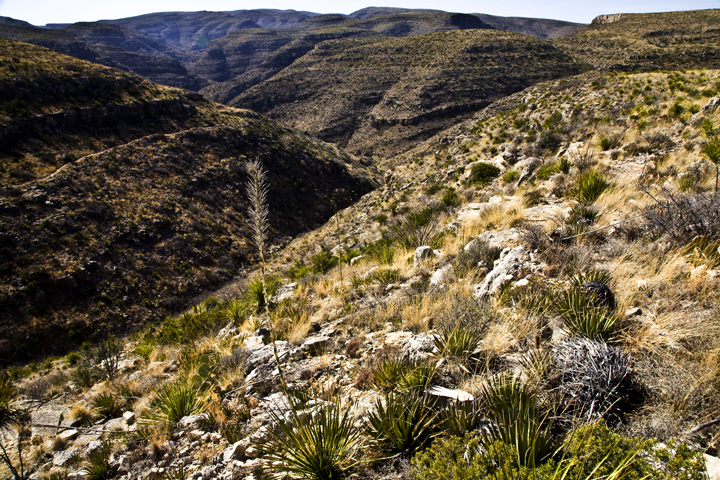 Geology : Carlsbad Caverns National Park preserves a portion of the Capitan Reef?one of the best-preserved, exposed Permian-age fossil reefs in the world. Water, geologic forces, climactic changes, and vast spans of time have produced and changed the fossil reef and its spectacular caves, a process that continues to the present day. Park Wildlife : The park's surface includes approximately 750 plant species, 331 species of birds, 64 species of mammals, and 44 reptiles and amphibians. Many species of plants and animals in the park are at the limits of their geographic distribution, including the northernmost colony of migratory cave swallows in the United States. 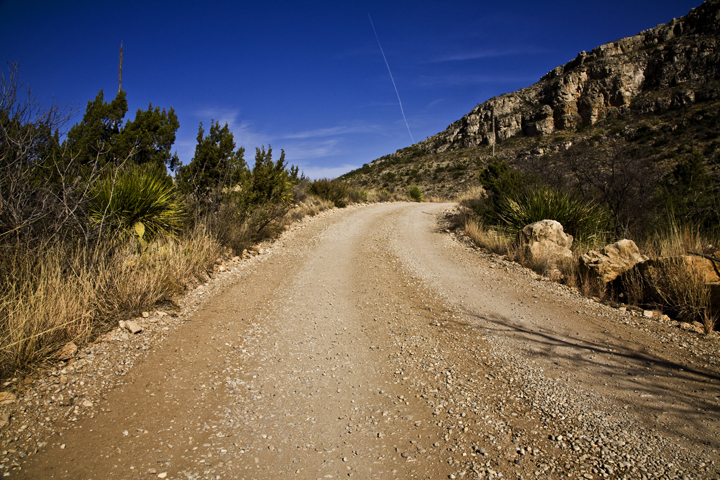 Park Research : Proper stewardship of the outstanding natural resources of Carlsbad Caverns National Park requires the knowledge of environmental trends such as air quality, the status of wildlife populations, and the human impacts upon the cave and surface environments. Scientific research projects in the park assist managers in making informed decisions for the protection of park resources. 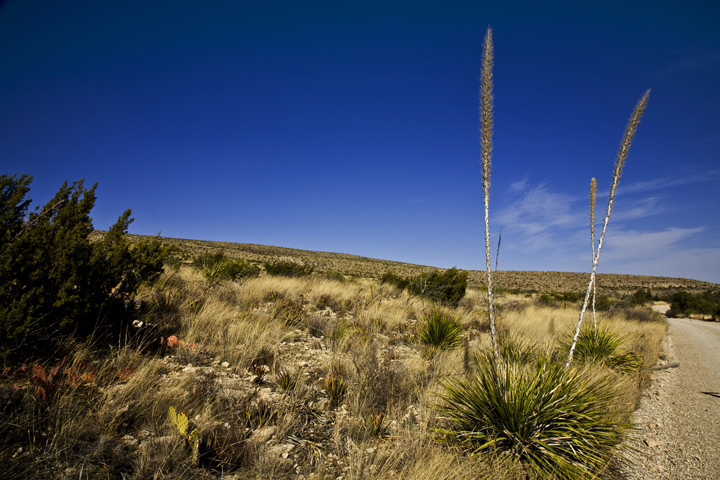 The park?s cultural resources represent a long and varied continuum of human use starting in prehistoric times, and illustrating many adaptations to the Chihuahuan Desert environment. Human activities, including prehistoric and historic American Indian occupations, European exploration and settlement, industrial exploitation, commercial and cavern accessibility development, and tourism have each left reminders of their presence, and each has contributed to the rich and diverse history of the area. 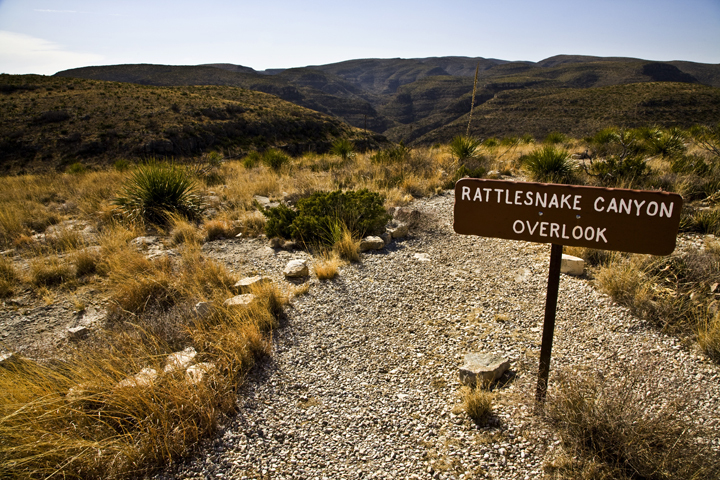 The park has two historic districts on the National Register of Historic Places?the Cavern Historic District and the Rattlesnake Springs Historic District. The park museum, including the park archives, contains about 1,000,000 cultural resource specimens that are being preserved and protected for future generations. 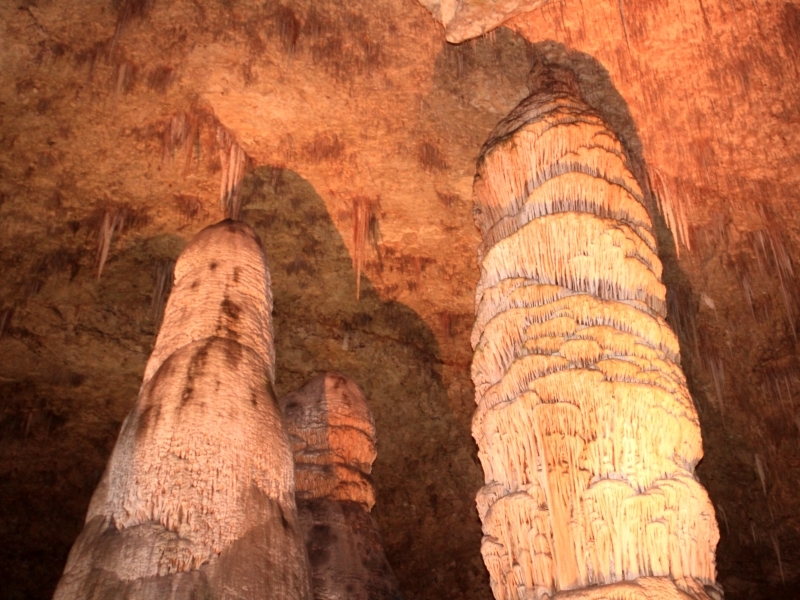 CAVE History Updates A newsletter from the Carlsbad Caverns National Park Cultural Resources Branch of the Resources Stewardship and Science Division. 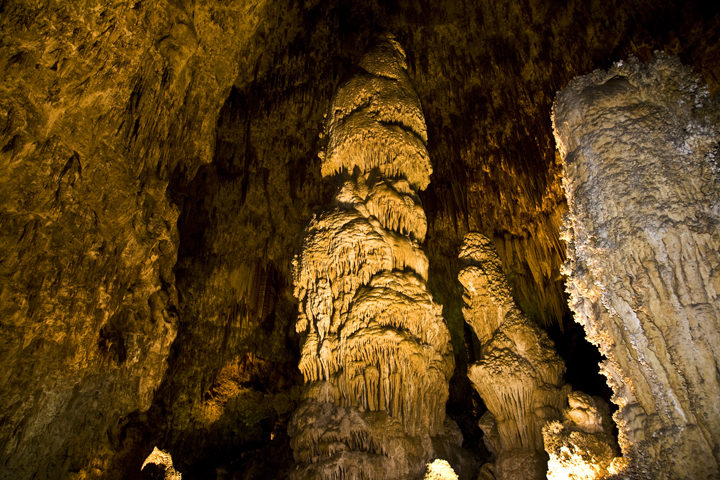 Memories of Childhood Nancy Hultgren remembers her first visit to Carlsbad Caverns National Park with her family in 1952 and later visits in 1964 as a young newlywed, and in 1995 and 2001. Her later visits rekindled fond memories of the 1952 visit, and in 2002, which was the 50th anniversary of her childhood trip, she began writing her memories of all four trips, adding historical and geological research, as well as a rich selection of personal photographs and historical area postcards. This is one chapter of her five chapter memory book?a testament to her growing fondness for this park through the decades. Civilian Conservation Corps CCC enrollees built many of the now-historic structures at Carlsbad Caverns National Park. From 1938 through 1942, they built residences, offices and rock walls; they dug ditches and constructed roads; they quarried rocks and made adobe bricks. There are picnic tables available at the visitor center near the flagpole, under a tree in the west parking lot, and near the bus parking area in the east parking lot. Additional picnic tables are available at Rattlesnake Springs, 15 miles from the visitor center. Car - Rental cars and taxi service are available from the airport at Carlsbad. 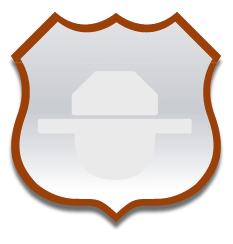 Bus - Carlsbad is served by Greyhound and TNM&O bus lines.